We specialize in the manufacture & installation of automatic gates, manual gates, metal framed timber infill gates, metal railings & other associated works. 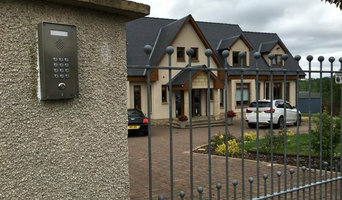 We are based in Central Scotland, however, we do operate a mail order business. So, if you like the work we have showcased, contact us for free quotes and advice! Working with steel requires skill, precision and experience. At JMS Steel Fabrications, our expert fabricators have been trading for 20 years'. Our team has worked with Scottish Water, Northern Lighthouse Board and NHS Scotland and are fully approved by the North Lanarkshire Council. We offer free on-site consultations anywhere in the Edinburgh, Glasgow and Lanarkshire areas. Equipped with off-road, all-terrain vehicles, we have the ability to access even the most difficult to reach areas. 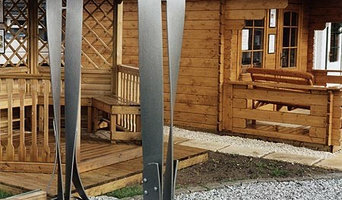 Timber Fences Glasgow have considerable experience in the household timber fencing and decking. Our reputation is built on 100% customer satisfaction by providing the right solution at a competitive price. We are automatic and eectric gates manufacture,we can electrify any type of gate for commercial and domestic,we are also doing trafgic barriers and car park system,cctv and ANPR parking recognition. 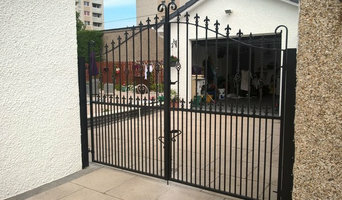 Metal Fence Glasgow, We Can fit Garden metal fences in the Glasgow area. Garden fence , metal fence and decking glasgow. The same applies to gates, which are even harder to build and install yourself, unless you are a practised carpenter, craftsman or builder. So if you want one-of-a-kind fence and gate designs that can be fitted by professionals, or perhaps just fence repair, then you should take a look at the Glasgow, Glasgow City gate manufacturers and fencing contractors listed on Houzz. With Houzz you can browse through gate manufacturers and fencing contractors in Glasgow, Glasgow City to find a professional to work on your project. Check reviews, recommendations, ratings and photos of their previous work to decide if you want to contact them about your fence or gate. Gate and fencing contractors in Glasgow, Glasgow City will be able to advise you on the best materials to use and how to look after your fencing. Aside from designing, building and installing your fence or gate, a specialist may also offer fencing supplies, materials and fence repair services which will help you maintain your bespoke fencing and gate designs. Whether you are looking to build a traditional wood panel fence, commission an elaborate wrought iron gate, want a quaint white picket fence or a large, electric gate to shield your home from public view, you’ll be able to find Glasgow, Glasgow City gate or fencing contractors on Houzz that have the specialist expertise to carry out the job. You may find that gate and fencing contractors also work closely with lawn and landscape professionals. Here are some related professionals and vendors to complement the work of fencing & gates: Wrought Iron Workers, Decks, Patios, Sheds & Summerhouses, Cladding & Exterior Contractors, Landscape Contractors, Landscape Architects & Garden Designers. If you already have some garden fencing ideas or even gate designs, then discuss these with your potential fencing contractors to see if they can become a reality. You may find they have to be tweaked slightly, perhaps due to budget, space or Glasgow planning restrictions, but good fencing contractors will be able to come up with a compromise to meet every need or constraint. Find gate and fencing contractors on Houzz. 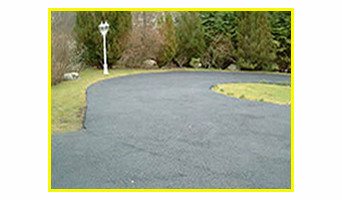 Narrow your search in the Professionals section of the website to Glasgow, Glasgow City gate and fencing contractors. You can also look through Glasgow, Glasgow City photos to find examples of fencing and gates that you like, then contact the contractor who worked on them.